If you have the budget for a 700 dollar gaming PC build, you really are in for an awesome computer that is what I would now call a high-end Gaming PC. I researched for hours putting this build together and making sure that it was well optimized and I’m pleased to say that the gaming build I’ve chosen really will impress anyone who decides to build it. If this build isn’t what you are looking for whatever reason another build that is cheaper, but still an awesome PC that I call the “Beauty and the Beast” is my 600 dollar gaming computer build. Now without further ado, it’s time to jump into this build and show you what really makes this build high-end. Why Build Your Own PC, Instead Of Buying One A Pre-Built One? Now before I get into this build I’m going to field this question that I’ve been asked many times. For most people, buying a pre-built desktop is cool and I get that, but when you’re a gamer and buying a PC you are really getting a much worse PC. These pre-built PC’s are usually way overpriced and the same PC can be built for much cheaper. If that’s okay with you then I understand, but personally I would want to get as much power for my gaming PC that I could for the money. That’s where building your own gaming PC comes into play. Yes, you have to put in some hard work when making your own PC, but that just makes using the PC all the better because YOU put it together and made it. Not someone else, but you did it. If you’re anything like me then the feeling you will have when you finish building your gaming PC will be something that you will remember for a long time. Oh yeah, you will also officially be known as that computer person that can fix all tech related issues, by all of your non-tech friends who are astonished that anyone could somehow build a PC, so get ready for that. Finally, I want you to know that even if you are intimidated that I will be here with you every step of the way and I will answer any questions that you may have about PC building. Just leave a comment below and I will answer it as soon as I see it. A static wrist band isn’t necessary unless you aren’t going to be building your PC on a hard surface such as a desk or hardwood floor. If your going to building on carpet (why though? ), get one. Building a PC can be difficult without any instructions, fortunately for you with the dawn of the internet there are plenty of helpful videos and helpful people around who are more than willing to help. Below is a video that will help you build your first gaming computer. It’s short and concise, but if you would like a more in-depth video I would check out my How To Build A PC Page. I understand that a video might not be enough for some people, so I just want to formally say, if you need help with anything about the PC building process please leave a comment below and I will answer it as soon as I see it. Well with all that out the way it’s finally building time! When planning this PC build, I was looking for something that could really take you into the big leagues of PC gaming. With this build, I’ve made you will be able to play all but the most graphically intense games on ultra settings 1080p and can even start looking into higher resolution monitors if you would like to. What I mean by the big leagues is basically with this build you are starting to move up to those builds that will last you for years without having to upgrade much. Even if you do end up upgrading this build can easily be upgraded to be even more future proof in the future due to this build including an ATX motherboard and also a nice spacious case. This build is easily worth every penny and by getting the parts, you will have the best value you can get for your money. Below is the Build and also the build description if you would like to learn even more about the parts you are spending your money on (something I encourage). Just so you know this build is updated very often and will always be up to date to make sure you are buying the most optimal parts. The new gen Ryzen 5 2600X Gaming for our $700 build! An Amazing GPU That Makes This Build 10 Times Better! Great ATX Motherboard! Up to 64GB’s of RAM and plenty of BIOS options! 80+ Bronze, Will Power Up The Build! For the price the Fractal Design Focus G series case is definitely worth the asking price. Not only is the design nice, but you are also getting a lot of space and most other comparable cases are going to cost you almost double what this costs. One the main reasons I picked this case was due to the design elements. For me, a good looking PC really is important especially if you are already shelling out a good deal of money for it. The front of the case looks like a furnace and that was a really appealing design choice. This case also has enough space for any upgrades you want to have in the future making it perfect for upgrading. You also have to add to the fact that this is also not too bulky and you have an all-around awesome case. I know that this case might not be for everyone and in response to that I’ve chosen to include a link below that has similar cases that you can pick from and use in this build. I chose the corsair 550 watts power supply because of it being made by the an amazing developer of the case above, The dimensions will be better due to it being made specifically for this case. It’s also a bronze power supply. So what does a bronze power supply do differently than a regular one? Well it’s more efficient and uses less voltage over time. I chose this due to this PC using more power and this would especially be useful if you are gaming long hours daily and it will save you money in the long run on electricity . We are finally to the MVP of the build, the XFX Radeon 580! First off unlike the other video cards in my cheaper gaming PC builds this thing is a legit beast. This card is small, but that doesn’t mean that you should discount it. 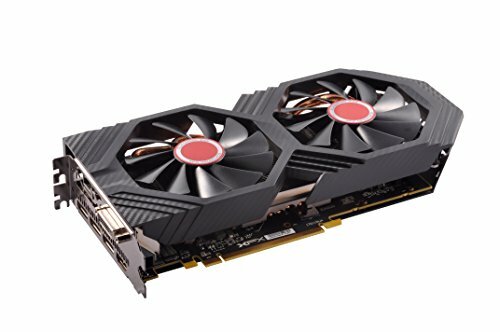 This card was only just recently released and features RX 580’s archetype. There’s also very low noise level so if you’re a fan of silent gaming rigs this is definitely a plus, but what really sets this card apart is the amazing value for the performance. You are getting an awesome card that will easily last you for years before you even have to think about upgrading. I really have nothing, but praise for this graphics card, so I’m just going to move on. TLDR: This card is awesome and worth every penny, get it. The AMD 2600x has been featured in many of my more expensive builds is the best CPU you can get for under $200. It’s just a complete beast for gaming and for processing tasks in general. The 2600x will easily last you for a few years of intense gaming. This processor also comes with a fan and heatsink which will save you more money in the long run. This is another amazing ATX motherboard by the company, ASRock b450 motherboard. I’ve been using their motherboards a lot due to them making high-quality motherboards and drivers for a great price. The B450 is a little expensive for this build, but is required to support the new ryzen 5 2600x. This board will allow you to add in any “Ryzen 5” CPU if you want to upgrade. Where this motherboard really shines is with the BIOS. ASRock is a company that focuses on gamers and with that being said, their BIOS totally reflects. It allows you to easily modify your gaming experience. For RAM, I picked the Corsair LPX Vengeance 16gb pack. Unlike my 400 dollar PC build, At this price range 16gbs of ram is vital or you will not be able to draw out the power of the rest of the components of this build. I might even recommend getting 32 GB’s of ram in the future (there’s no real need for this at the moment). The hard drive I chose was western digitals 1tb hard drive. With this, you will have more than enough space to store many different games on your PC and still have space left over to do other things. Western digital is a respected hard drive maker that makes quality products, which is the reason I chose to use their hard drive in this build. I would actually recommend getting another hard drive or SSD in the future, but at the moment, this will do. The reason I did not include any optical drive is because I don’t think they are necessarily important for any modern PC build. I’m not saying that they can’t prove useful in certain situations, such as installing an OS or a drive, to which you can also install via any USB. Other than that was real use do these have? I can’t remember the last time I’ve used a disc drive and I’m pretty most of you can’t either. 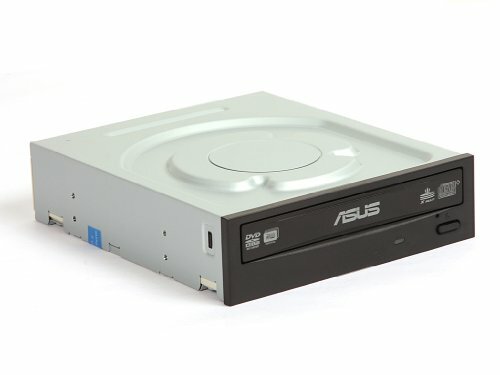 I’m including one below that is still very cheap so if you don’t feel comfortable installing the OS with a USB or are really going you can pick this optical drive up. If you are looking for a 1080p monitor on a budget, I would wholeheartedly recommend the Acer 21.5 inch monitor. Yes, there are better monitors out there, but for the price, this is an amazing monitor that has a lot of customizable features and also deep color contrasts. One other thing that I really like about this monitor is the brightness. This monitor is very vibrant and sharp compared to other monitors and, This is also a good option if you are looking to have a multiple 1080 monitor set up. One thing every gamer needs is a keyboard and mouse that gives them a competitive edge in gaming, but one major issue most run into is companies charge a great deal for these items. I’ve found a very good keyboard and mouse combo gaming set for a very affordable price. You are also getting a very stylish set with LED lights and a pretty memorable design, if that doesn’t make you excited as a gamer, then I don’t know what will. If there’s anything that I would recommend 100 times over, it would have to be these headphones. Not only do they visually impress anyone who looks at them, but the sound quality is downright amazing. We chose our 3 adapter choice from our top 10 wireless adapters list as it’s a little more budget friendly than the 1st or 2nd choice. Check out our post if you have a different budget in mind! After building your gaming PC and getting all your peripherals in order there is still one thing that needs to be done and that is installing your operating system. What I mean by an operating system is a program that basically manages all your computers specs and other applications you install onto your computer. There are many operating systems, but the one’s that are the most popular are Linux (Ubuntu) and Windows. These operating systems both have their pros and cons and below I will Talk about why you should or shouldn’t get one or the other. Despite being popular among the tech savvy crowd Linux is still relatively unheard of. Linux does have it’s pros however and to discount it without giving it a fair shot would be a shame. Some good thing about Linux is how customizable it is as an operating system. Linux was made more as a community project instead of something to sell. It was basically made by developers for developers and other like-minded individuals. So if you like getting down to the nitty-gritty aspects of computers then you will love Linux. Another thing that Linux has it is a free OS. Many people might no know that Windows costs money, but it does so having the option to use Linux until for free is awesome. Sadly, Not everything is looking up for Linux. Linux also has major issues in that there’s since its more of a community project than an organization, there are many bugs that have yet to be fixed and take a great deal of time to get corrected due it not being run like a business. The biggest reason why Linux is still a little unappealing is that many game’s don’t even support Linux. While this is slowly changing due to Steam actually making their own Linux-based OS called SteamOS there are still major compatibility issues. Windows is probably something that everyone reading this is familiar with and that’s no surprise considering they have complete and utter dominance over the marketplace when it comes to PC’s. 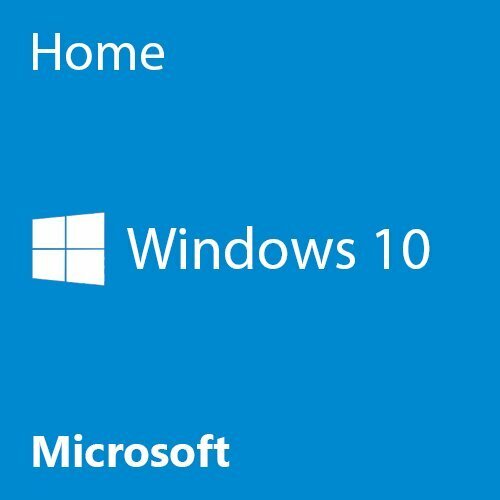 Most of you are going to go with windows without a doubt and there’s nothing wrong with that, but I’ll still tell you some pros and cons of Windows. The biggest pro’s of Windows is that almost every PC developer makes their games specifically for Windows which means you don’t have to worry about your OS not being supported. Another one is that since Windows is a major company, updates are quick and snappy compared to Linux. The only real disadvantage of Windows is the price tag. Many people are simply not going to want to pay it and yes there are ways that allow you to get it for free. I’m neither for nor against it, but I won’t tell you how to do it on this post nor on my website. Windows 10 is my top recommendation as of now. Not only has Microsoft worked out all the major bugs with the OS, but games are actually starting to perform better with this OS making this the choice for gamers looking to max out their PC’s performance. Windows 7 and 8 are still ok, but I’d recommend switching over to Windows 10 as soon as possible. 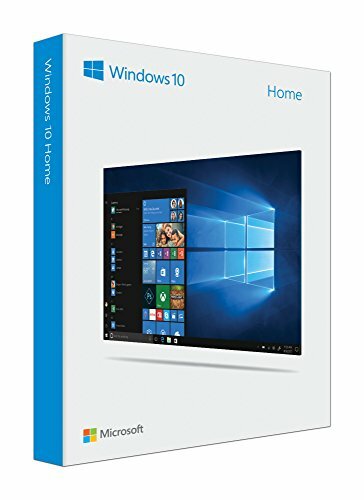 Below, I’ve included both a USB version of Windows and also a disc version of Windows 10 depending on whether or not you have an optical drive. PC gaming is evolving at an astonishing rate and having a Build that can handle these awesome games is a must for any serious gamer. This 700 dollar gaming PC build is easily comparable to a pre-built computer in the thousands and I know anyone who makes this will be in for an awesome adventure. If you are ready to enter the big leagues then this is the build that will do it. If you have any questions about anything in this post please feel free to leave a comment below and I will help respond as I see the comment. Also, what do you plan on naming your PC? Tell me below. Get The Big Leagues Gaming PC Build! Share The Big League With Friends! I’m thinking about changing out some parts let me know what you think… i would be changing to the intel i5-7500, two stick 16gb ram, corsair 600 watt power supply and then i thinking about changing to the Thermaltake Versa N21 Snow Edition Translucent Panel ATX Mid Tower Window Gaming Computer Case… Would this work? I’ve noticed that you did not include a cpu cooler in your build. For better stability in gaming would it be better to replace the stock cooler with something like a cooler master hyper 212 evo? If you want better cooling you can go with the Cooler Master Hyper 212 EVO, but the 7100 doesn’t overclock, so there’s no need for anything other than the stock cooler. Was about to ask the same due to hating intel fans (noisy) if a 212 can fit then a Cryog H7 will? Was looking at the placement of things on this tiny board and was not sure what A.M fan would fit best. Sorry if I am bouncing around your different builds as I am looking to build more then one. Thanks again for your time! The motherboard is an M-ATX motherboard, but it will house the Cryorig H7. If you’re looking for something more compact I’d go with the Cryorig C7, which is a more low profile version that performs well! I want to upgrade to an i5 for this build and am willing to spend a little more. Do you have any suggestions? I’d recommend picking up an Intel i5-7500. 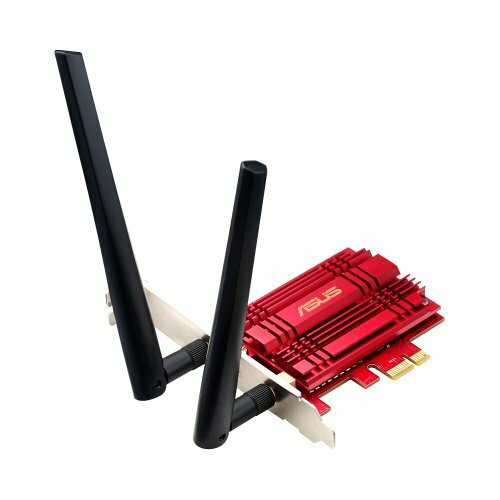 It’ll offer a significant increase in performance over an I3-7100. I am looking to put together a new PC (my current one is from 2009) and was looking at this one. I typically only play sims, strategies, and games of that sort (i.e., no MMO’s, no FPS’s, etc. ), so I am curious if this system would work well for me. I feel like storage is always a bigger issue for me than graphics, so I’m also curious if there is a recommendation for a bigger hard drive that would work in a machine like this. Your suggestions are greatly appreciated. I recommend getting a 3TB WD Hard Drive then and maybe switching the GTX 1060 out with an RX 470 to balance out the budget. The 470 coupled with the i3-6100 should be able to handle any sims and strategies games out right now. Hello, thank you!, after reading this article a finally decided to build my own PC. I was just wondering if you know about any good and cheap monitor that can run with 144hz? The Acer GN246HL Bbid is an excellent choice! I just have two last questions that would help me alot. This build can really use the 144hz or is better to save my money? Also, im thinking of buying the video card that you have in your 1000 usd build (Gigabyte GTX 1070) and using it in this build to improve the performance, but since im not an expert i dont know if is compatible, if is worth it and if this build can really use the potential of that video card? No worries Kevin. Between getting a 144z monitor and saving money all depends on you and your preference, but take my word that gaming on a 144z monitor will change the way you look at usual monitors 60z and gaming. Gigabyte GTX 1070 is compatible with this build but might bottleneck the system a little depending on the game and setting you are using, if you really like to upgrade to GTX1070 might as well get an i5 6400. New to pc building and probably going to make this my first build. Is it worth it to get an i7 6700 over the i5 6500? Want to make it pretty future proof but not sure if price is worth it. Plus pcpartpicker said I’d need a cooler if I got the i7 6700. Processor: Intel Core i5-2300 2.8 GHz/AMD Phenom II X4 945 3.0 GHz or equivalent and I have no idea if the I-3 is strong enough? This build will run Fallout 4 on ultra settings at 60 FPS as long as you’re at 1080p. The i3-6100 is way better than the I5-2300 and is more than enough for any game at the moment so don’t even worry about that. Will the Intel core I7 6700 work with this build? and if not what would need to be upgraded in order for it to work? The i7-6700 is compatible with this build, so everything should work perfectly. hi, will the corsair carbide specs 0-3 work? Yes, the Corsair Carbide SPEC-O3 is compatible with this build. this motherboard doesn’t support Sli, so you’d have to change that out with something like a Z170. Also if you’re looking for 16GB’s of RAM, I’d just get two 8GB sticks.